Hello Simone. As we know, Tensorflow is one of the most popular deep learning libraries. Recently you had a chance to present your talk entitled: “Eager execution – interactive codelab, a low-level interface to write TensorFlow code in a simpler and more intuitive way”. Could you tell us something more about it? For some time I’ve been working on Google technologies, which are constantly growing and are perhaps the most difficult to approach just because of the immense growth. TensorFlow is the main tool for machine learning in Google and the talk I gave described a recently released new approach to the framework, much simpler and more dynamic. Are you going to prepare any other talks related to this topic? How was the experience of holding a codelab within a community? Certainly different from a classic conference. I thought a lot about how to deal with the topic, programming together line by line, not taking anything for granted. I received very interesting feedback from the participants. Let’s change topic now. For those who don’t know you, could you tell us a bit about yourself? 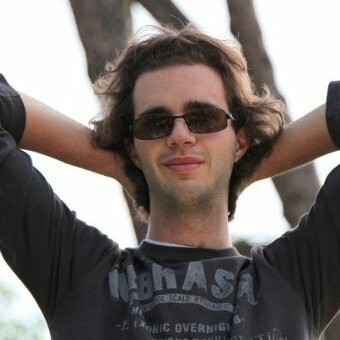 I’m a researcher at Sapienza University and I deal with machine learning. In my free time, I actively participate, including as a speaker, in some communities on this topic. I also manage the Machine Learning Data Science community and a cultural association, the Italian Association for Machine Learning, to promote some initiatives.